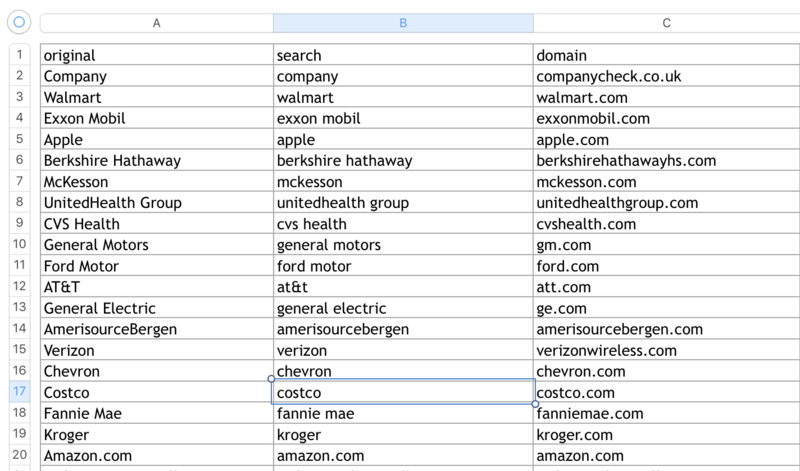 Paste a list of names of companies and then upload it to Anyleads. We will give you back a CSV with all domains associated. 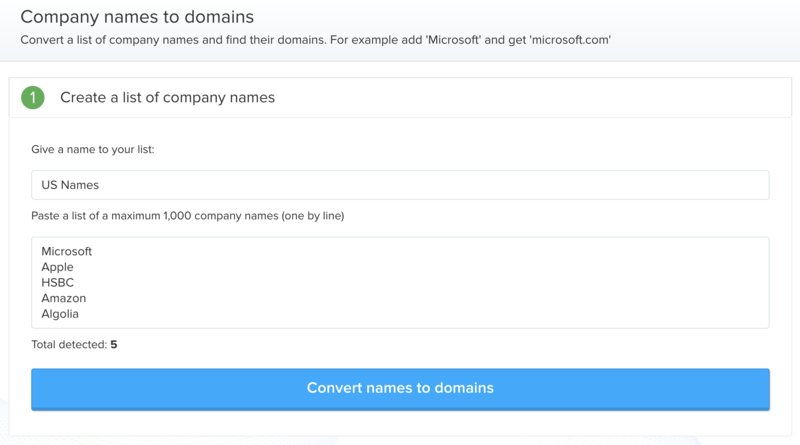 Once you are ready you can download your files in CSV or Excel and get all the domains.